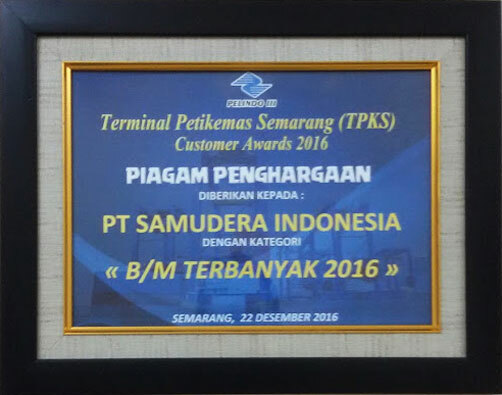 PT Samudera Indonesia Tbk (“Samudera Indonesia”/”the Company”) is an integrated cargo transportation and logistics company established in 1964. The Company’s origins date back to the early 1950s starting as an international shipping agency founded by Mr. Soedarpo Sastrosatomo. Since 1999, Company has been publicly listed on the Indonesia Stock Exchange. With experiences for more than 50 years, Samudera Indonesia has been able to develop a well-respected & well-recognised “Samudera” brand name. 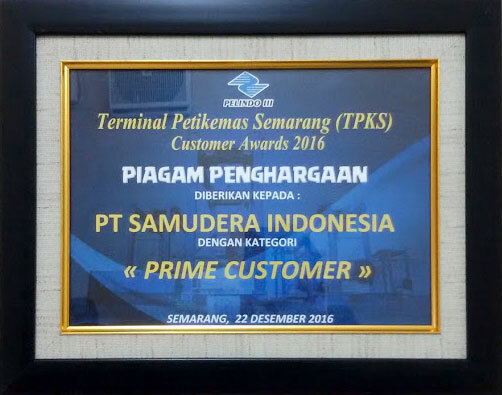 Samudera Indonesia has 4 business lines: Samudera Shipping, Samudera Logistics, Samudera Ports, and Samudera Property to provide high quality services for the customers. 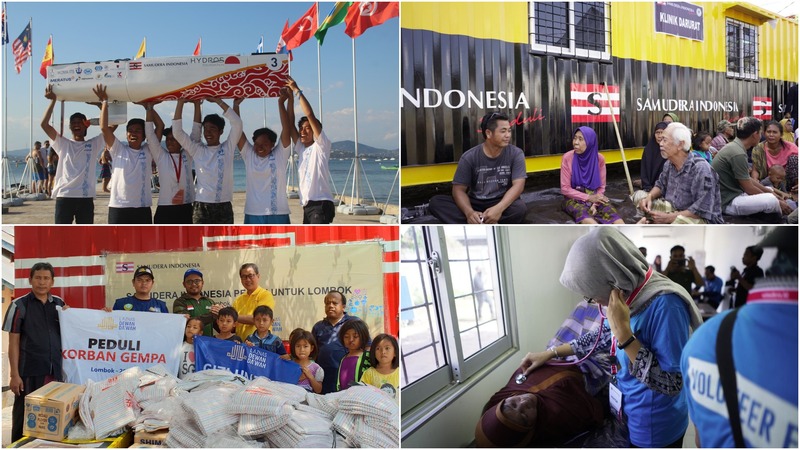 Supported by 4.000 employees, more than 41 subsidiaries and offices across various regions in Indonesia and Asia, Samudera Indonesia is committed to deliver the best solution in cargo transportation and logistics. Providing transportation services to meet the demand of distribution activities. Positively contributed to the economic growth by providing efficient logistics solutions. To ensure sustainable business growth and deliver additional value to the shareholders. Actively participating in creating employment, and developing human capital. has served as Chairman since 15 May 2008 based on the Deed of Minutes of Extraordinary General Meeting of Shareholders No. 25 and has been reappointed since 22 May 2014 based on the Deed of Minutes of Annual General Meeting of Shareholders No. 41. Prior to serving as Chairman, she was a member of the Board of Commissioners of the Company from June 2000 to May 2008. 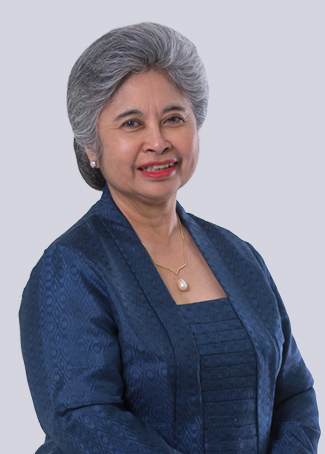 Currently, she also serves as Chairman of PT Asuransi Bintang Tbk and President Director of PT Ngrumat Bondo Utomo, PT NBU Indonesia Utama & PT Samudera Indonesia Tangguh. Founder and member of Wharton e-fellow, Wharton Business School, University of Pennsylvania, USA. “The Order of the Crown” from the Kingdom of Belgium for her services in fostering cooperation between business people in Belgium and Indonesia when carrying out her duties as Chairwoman of the Executive Board of Indonesia-Belgium, the Netherlands, and Luxembourg Chamber of Commerce. He has served as Commissioner since 2 June 2016 based on the Deed of Minutes of Annual General Meeting of Shareholders No. 3. He earned his Bachelor of Engineering from Industrial Engineering Department, Faculty of Engineering, University of Indonesia (1999). He started his career at Soedarpo Informatika as Business Process Analyst and Business Representative in San Diego, United States (1999-2001). He continued his career as IT Consulting Services Director (2005-2006) and President Commissioner of Soedarpo Informatika since 2008 until now. 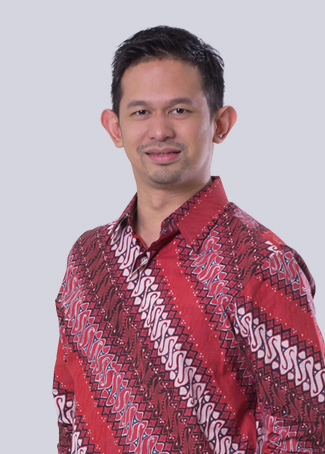 He also has served as President Director of PT Bayu Buana Gemilang (2008-2014). He also holds concurrent position as President Commissioner of PT Perusahaan Pelayaran Nusantara Panurjwan and PT Galangan Kapal Yasa Wahana Tirta Samudera, Commissioner PT Tata Bandar Samudera and PT Samudera Wadah Mitra and also Director of PT Ngrumat Bondo Utomo and PT NBU Indonesia Utama. In 2009 and 2010, he was appointed by the Ministry of Research and Technology of the Republic of Indonesia to jury the “101 Indonesian Innovation” program. In 2014, he was selected as one of the “50 Inspiring Figures” of the Engineering Faculty, University of Indonesia. He has served as Commissioner since 12 May 2010 based on the Deed of Minutes of Extraordinary General Meeting of Shareholders No. 14, and was reappointed on 22 May 2014 based on the Deed of Minutes of Extraordinary General Meeting of Shareholders No. 41. 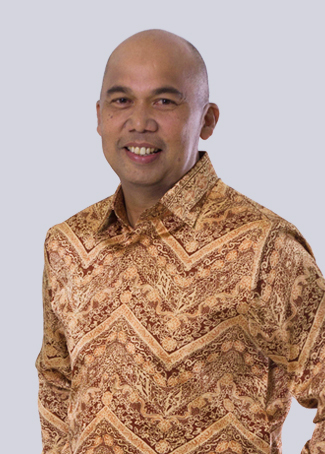 He also holds the post of Chairman and Chief Executive Partner of RSM Indonesia. His past titles include Chairman of PT Asuransi Bintang Tbk, Independent Commissioner & Chairman of Audit Committee of PT Bank Universal Tbk, and member of Audit Committees of PT HM Sampoerna Tbk and PT Bank Danamon Tbk. 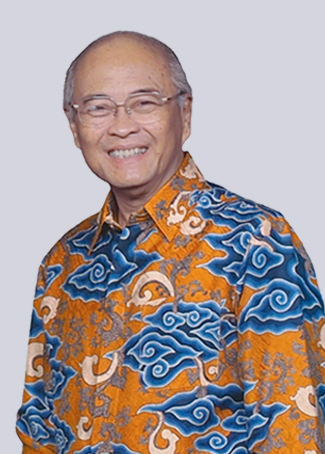 In professional organizations, he had been appointed as the Head of Profession and Chairman of the Board of Examiners of Public Accountant Certification Exam, the Institute of Indonesia Chartered Accountants (IAI), Chairman of IAI Public Accountant Compartment, and Chairman of the Board Certification of Indonesia Public Accountant Institute (IAPI). He also co-founded and became Vice Chairman of the Association of Indonesian Curators and Administrators (AKPI), and a board member of IFEA (Indonesia Financial Executive Association). In the social field, he is currently the Chairman of the Board Supervisory of Biodiversity Foundation (KEHATI) and Chairman of the Supervisory Board of Lontar Foundation. He has served as the Board of Commissioners since 2000 prior to be appointed as an Independent Commissioner on June 7, 2001 based on a resolution of the Annual General Meeting of Shareholders (AGMS) No. 6 and then reappointed on June 2, 2016 based on a resolution of AGMS No. 3. He graduated from the Faculty of Psychology at University of Indonesia (1967) and earned a Doctor of Philosophy in Business Administration from the University of Southern California (1985). Previously he held position as an Independent Commissioner of PT United Tractors Tbk and PT Astra Agro Lestari Tbk, as well as a member of the Advisory Board of the National Commission on Human Rights and Indonesian Physics Olympiad Team advisor. He has been appointed as Independent Commissioner since 24 May 2017 based on the Deed of Minutes of Annual General Meeting of Shareholders No. 290. 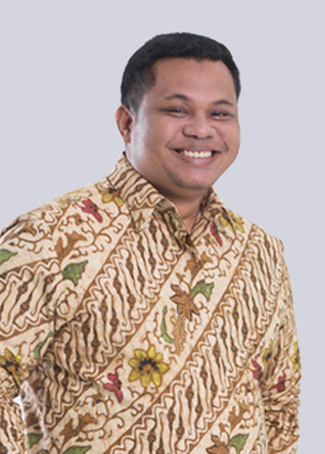 He earned his Bachelor’s degree in Industrial Engineering from Bandung Institute of Technology (ITB); Master of Science in Industrial Engineering from Northeastern University; Master of Science in Civil Engineering from Stanford University; and Doctor of Engineering in Decision Science, ITB. He also received the titles of Professor of Decision Science from the School of Business & Management, ITB and Honorary Doctor (Dr. HC) of Engineering from Northeastern University, USA. He held several senior management positions at several companies, such as CEO of PT PLN (Persero), PT Tambang Batubara Bukit Asam (Persero), PT Tambang Timah (Persero) and Chairman of PT Unilever Indonesia Tbk. He also serves as Chairman of PT Holcim Indonesia Tbk, PT Jakarta Propertindo, and Commissioner of PT Triputra Agro Persada. He also has served in a number of key positions in the government, including as: Minister of Mining and Energy, Head of Presidential Working Unit for Supervision and Control of Development (UKP4), Deputy Chief of Indonesia Investment Coordinating Board (BKPM), and Head of Rehabilitation and Reconstruction Agency for Aceh and Nias. 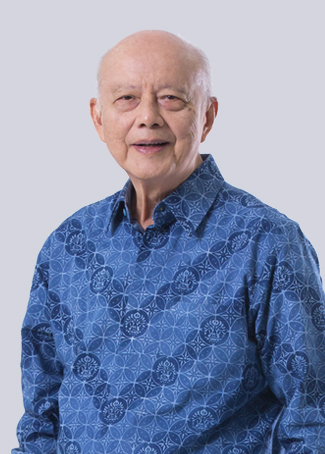 For his service, he was awarded ‘Bintang Mahaputera Adhipradhana’ by the Government of Indonesia in 1999, Honorary Lee Kuan Yew Exchange Fellow- Singapore, Royal Norwegian Order of Merit - Commander with Star, National Democratic Institute Award 2013 for Civic Innovator, Asia Game Changers Award - Asia Society. He has served as President Director since 12 May 2010 based on the Deed of Minutes of Extraordinary General Meeting of Shareholders No. 14 and has been re-appointed since 2 June 2016 based on the Deed of Minutes of Annual General Meeting of Shareholders No. 3. He graduated from the Indonesian Marine Academy (1970). He joined the Company since 1971 as Deck Officer and later served as Captain of vessels operated by the Company. Prior to his current position as President Director, he served as Corporate Managing Director-Logistics Group (1990 - 2010). He is also currently President Commissioner of PT Ngrumat Bondo Utomo, PT NBU Indonesia Utama, and PT Samudera Indonesia Tangguh, as well as Executive Chairman of Samudera Shipping Line Ltd. 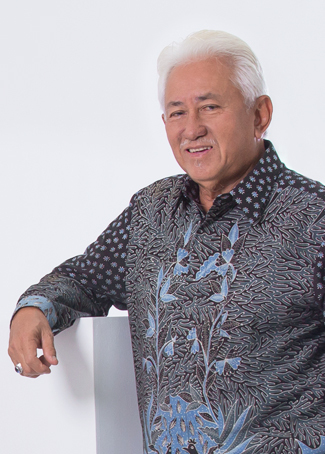 In the past, he served as Chairman of the Indonesian Logistics & Forwarders Association, and is now a member of its Supervisory Board. He was also Chairman of the ASEAN Federation of Forwarders Associations (2008-2010) and Chairman of the Intermoda & Logistics Permanent Committee at the Indonesian Chamber of Commerce and Industry (2010). Additionally, he also contributes as a member of the Advisory Board of Indonesian National Shipowners’ Association. He has served as Director since 22 May 2014 based on the Deed of Minutes of Extraordinary General Meeting of Shareholders No. 41 and has been reappointed as Independent Director since 2 June 2016 based on the Deed of Minutes of Annual General Meeting of Shareholders No. 3. Prior to joining the Company, he started his career in Presetio Utomo & SGVArthur Andersen (1987-1992), with his last position being Head of Mergers & Acquisitions Team. He then moved and held various positions in Coca Cola Amatil Indonesia (1992-2005). He subsequently occupied several other important positions, namely as CFO (2005-2008) and President Director (2008-2010) of Hutchison Port, member of the Executive Committee of the International Association of Ports and Harbors (2010-2011), as well as CEO and President Director of Anglo Eastern Plantations Group, which owns 17 palm oil plantation companies and CPO factories all over Indonesia (2011-2014). He earned his Bachelor of Economics majoring in Finance and Accounting from Padjadjaran University, Bandung (1987). He has held the position of Director since 2 June 2016 based on the Deed of Minutes of Annual General Meeting of Shareholders No. 3. He was appointed as Delegate Commissioner since 2013 and as Secretary of the Board of Commissioners since 2009. Currently, he also serves as Managing Director of PT Ngrumat Bondo Utomo, PT NBU Indonesia Utama, and PT Samudera Indonesia Tangguh. In addition, he is also President Director of PT Samudera Terminal Indonesia, PT Samudera Perkapalan Indonesia, PT Samudera Agencies Indonesia, PT Samudera Properti Indonesia, PT Samudera Indonesia Logistik Kargo, PT Silkargo Indonesia, and PT Perusahaan Pelayaran Nusantara Panurjwan. In terms of organizational activities, he is active as Vice Chairman of Sea Transportation Permanent Committee at Indonesian Chamber of Commerce and Industry (KADIN) and Transportation & Energy committee member at Indonesian Employers Association (APINDO). He is also active in Young Presidents Organization (YPO) and serves as Chapter Chair-PAN Indonesia (2015-2017). He studied in the University of Indonesia, Faculty of Economics, Department of Management, and then continued his study in Deakin University, Australia, majoring in Finance. Company is also fully aware that its existence shall provide benefits not only to shareholders but to various stakeholders such as local communities, environment, employees, and the customers. To promote harmonious and mutually supportive relationships between the Company and the local communities, the Company employs Corporate Social Responsibility programs as sustainable commitment to diverse stakeholders. 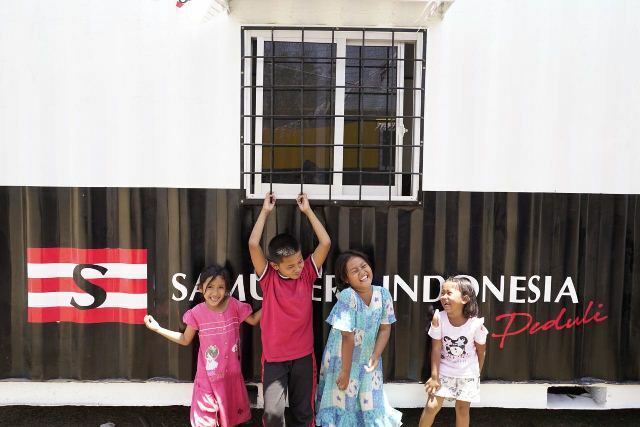 In general, Company policy on Samudera Indonesia Peduli implementation rely on on six areas: aid for natural disaster victims, religious activities, environmental preservation and health quality improvement, education facilities improvement, community development, and public infrastructure development.